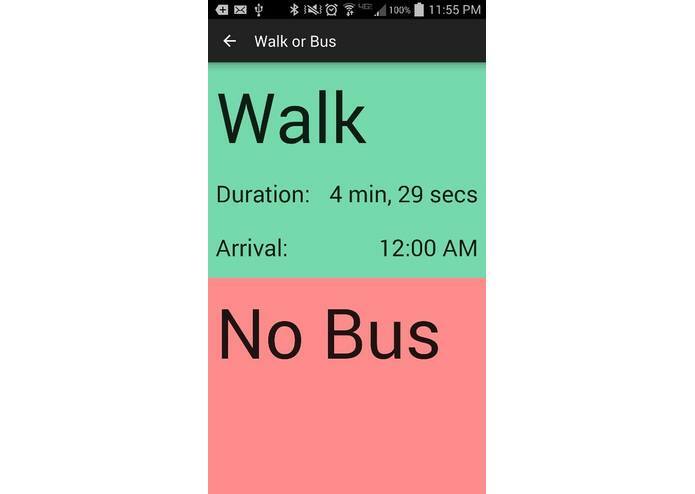 Fastest way of deciding whether or not to walk or ride a bus around campus. 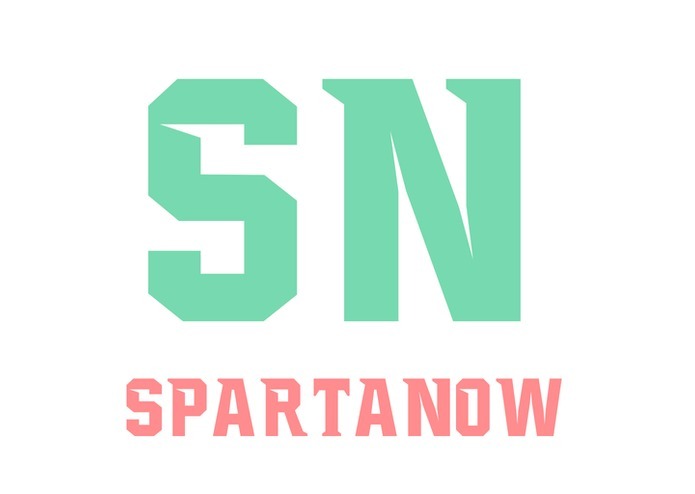 We wanted to create an app that fellow Spartans could relate too. Every Spartan can relate to walking and riding buses. Whats the fastest way to get to Shaw from Wells right now? Most people would probably say that walking along the Red Cedar might be the fastest route, but what if it wasn't? What if there was a Eastbound 30 stoping at wells in 30 seconds? That would make taking the bus the fastest route, since the next stop for Eastbound 30 is the CATA Station. We managed to port our idea to iOS and Android as well as the Web. Our apps are super simple to use. First select the destination of you favorite place here at MSU and click the next button. 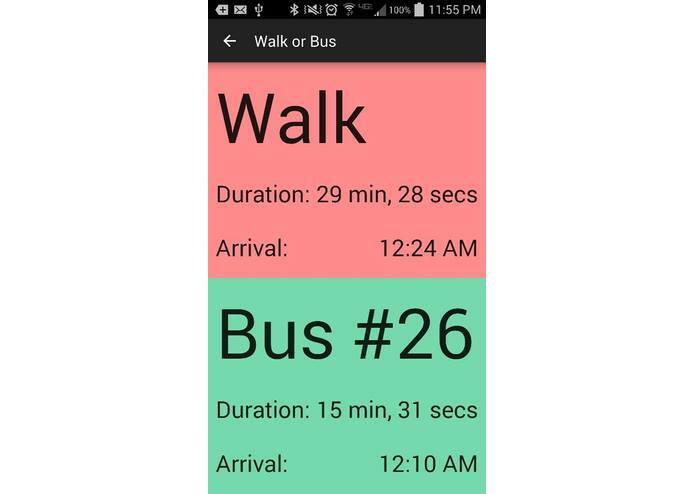 Immediately, you will see whether or not walking or taking the bus is the fastest. 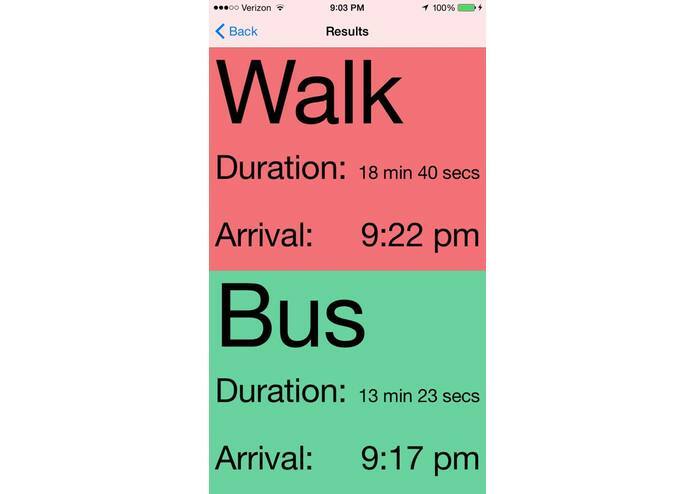 The apps also provide travel times and arrival times. Jeff: I struggled for hours with auto layout, so the app could could look nice on all iPhones and iPads. Everything thing else I was able to work through. 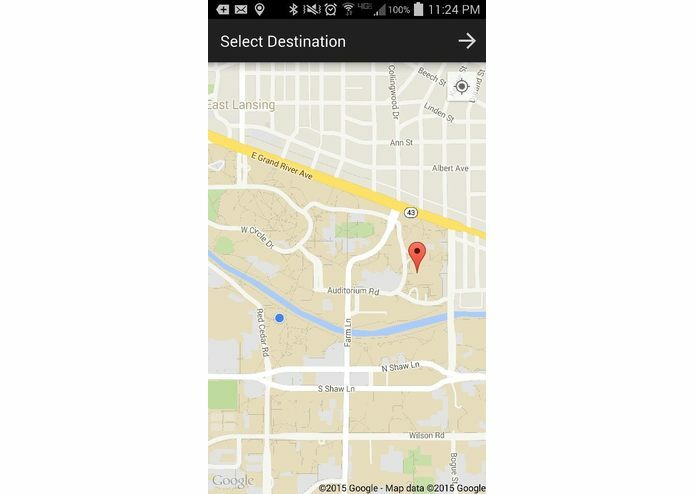 David: Learning the google maps APIs for android was hard to start, but pretty easy and fun once integrated with the app. Also designing a UI that was consistent across Android and iOS was new for me and it was challenging to keep another platform in mind when working on the android app. Richard: I struggled at first to use the Google Directions API, but it became easier to use as the hackathon went on. I also had some difficulties parsing the http request response to find the proper data that we were after. When working on the design of the webpage, I was constrained by the designs of both the Android and iOS version of the app. Jeff: I feel like I got a much better handle on auto layout. 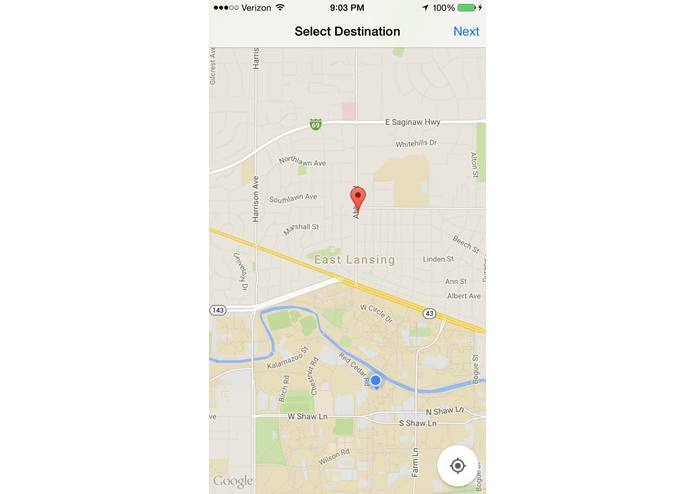 I taught myself how to the use the Google Maps iOS SDK and how to request information from a server to an iOS app. David: I learned how to use the Google Maps Android API, and worked to design a server-client web service that would work with different platforms. Richard: I learned how to use the Google Directions API on a web server to communicate directions/time for our project. I also learned how to design and interface the web-server with different platforms. if here then see "## Accomplishments that I'm proud of"
We plan to add more features like searching for locations and favorite locations. We plan on eventually porting to the App Store and Google Play Store.